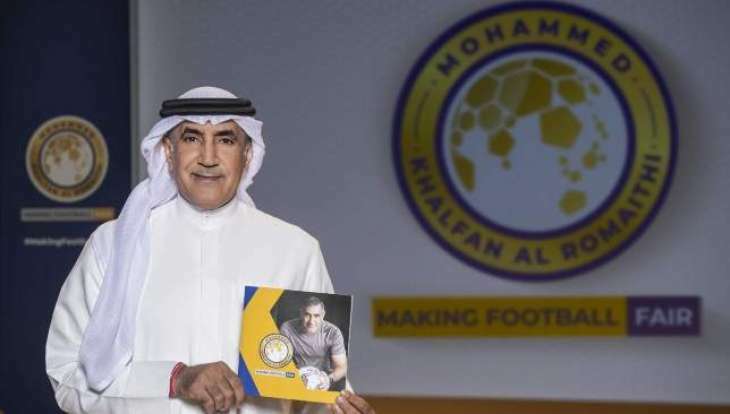 March 22 – The UAE’s Mohammed Khalfan Al Rumaithi has confirmed he is pulling out of the race for the presidency of the Asian Football Confederation (AFC) which culminates at the confederation’s congress in Kuala Lumpur on April 6. With Al Rumaithi out of contention, incumbent president Sheikh Salman bin Ebrahim Al Khalifa now only faces Qatar’s Saoud Al Mohannadi. Salman is due to be in Qatar this weekend when it is expected that Al Mohannadi will also announce his withdrawal. It has been a remarkable piece of geo-political and football politicking to this point, and a tribute to Salman’s statesmanship that all parties are still talking and committing to the unity of the AFC, and that he has managed to bridge what was potential a huge chasm that could have split the Gulf region and force other AFC members into an ugly battle for regional dominance. Al Rumaithi waged at times a bitter and aggressive offensive for the presidency, however the head of UAE’s General Authority for Sport said he is now backing Salman after the pair met in Abu Dhabi. The importance Salman attributed to this visit and his rival was not lost on Al Rumaithi. Salman had been scheduled to be in Miami for the FIFA Council meetings but instead chose to meet Al Rumaithi face-to-face. “I would like to thank Sheikh Salman bin Ibrahim Al Khalifa for his initiative and his visit to the UAE and I would like to stress that when I decided to run for the presidency it wasn’t because I was aiming for the position itself,” Al Rumaithi said in a statement. Salman acknowledged Al Rumaithi’s contribution saying: “I would like to thank his excellency Mohamad Khalfan Al Rumaithi for his hospitality and the good spirit he has shown towards us in order to complete this meeting despite the competition between us, which has been for the good of Asian football. While the words sound somewhat face-saving, there is no doubt that the agreement is significant for both parties and bring a form of football peace to a region where the geo-politics were in danger of pulling the AFC’s unity apart.